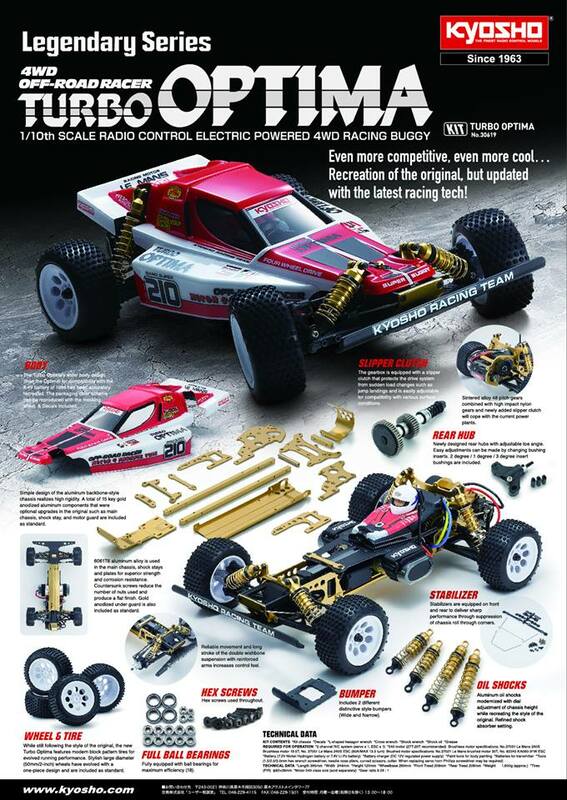 Kyosho Turbo Optima復刻 - 懷舊遙控車討論版 - RC-遙控車RC-EVOLUTION遙控工房模型論壇 - Powered by Discuz! With all options, very NICE!! 應該唔洗咁貴, 之前OPTIMA 日本稅前42000YEN. 香港賣1800-1900, 宜家TURBO OPTIMA 稅前46000,貴左10%, 我估到香港應該都係貴10%, 即係2000-2100HKD 左右. 開訂大約 二千五 ... chicken rib ..
上面官方段片開始寫 "4WD belt drive system", 即係行帶? 如果唔係行鍊就唔夠 "Original" 咯 . . . 如有錯請師兄指正! I guess there is an option for you to downgrade it back to Chain drive like Optima. GMT+8, 2019-4-18 22:29 , Processed in 0.142291 second(s), 19 queries , Gzip On.